Robinson Crusoe Day Is Today! Robinson Crusoe Day is the anniversary of Alexander Selkirk’s rescue from the island Juan Fernandez in 1709. He landed on the island off the coast of Chile in 1704 after disagreeing with the captain. His exploits may have inspired Daniel Defoe’s Robinson Crusoe. Children can read Robinson Crusoe at: Project Gutenberg. Supreme Court opened its first session in 1790. In that year the capital was Philadelphia, Pennsylvania; the Supreme Court met in what is now Independence Hall. When the capital moved to Washington, DC, no Supreme Court building existed. The Court met in various parts of the Capitol Building and even met in a private home during the War of 1812. 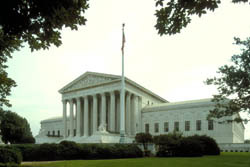 Until 1935 the Supreme Court continued to meet in various places. The Supreme Court Building opened in 1935. Children can learn more about the Supreme Court at: Supreme Court. Julia Ward Howe published “Battle Hymn of the Republic” as a poem in The Atlantic Monthly in 1862. The poem was a result of a visit she made to a Union army camp during the Civil War. Soldiers had asked her to create the lyrics of a “fighting song” to match a melody that already existed. She awoke one dawn and the words began to form the verses. She got up and wrote down the poem immediately. Children can read the lyrics and view a photograph of Julia Ward Howe at: Lyrics. Children can listen to the song at: Battle Hymn of the Republic. 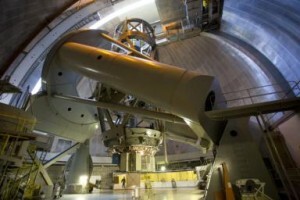 Hale Telescope on Mount Palomar began operations in 1949. Named after George Ellery Hale, the 200-inch reflecting telescope was the largest of its kind. Located near San Diego, California, the telescope is still in use. Children can view a webcam at the telescope’s site at: Hale Telescope. Meg Cabot (born Bloomington, Indiana, 1967) has published over 50 books for young adults and adults. She is best known for her Princess Diary series. Young adults can visit her website at: Meg Cabot. Hattie Wyatt Caraway (born Bakersville, Tennessee, 1878; died Falls Church, Virginia, December 21, 1950) finished her husband’s term in the Senate when he died in 1931. She then ran for the office when that term expired. She became the first woman to be elected to the Senate, and she worked ceaselessly for women’s rights and Prohibition. Langston Hughes (born Joplin, Missouri, 1902; died New York, New York, May 22, 1967) was an African American writer. He is famous for his poetry, and he experimented with meter. He wrote or edited at least fifty books, and he also created dramas. Students can read some of his poetry at: Hughes Poetry. Children could learn more about Hughes at the America’s Library site at: Langston Hughes. Students would also enjoy reading Floyd Cooper’s Coming Home: From the Life of Langston Hughes. James Preller (born 1961) writes books for children. He writes the Jigsaw Jones series and other books, including Bystander and Before you Go. Children can visit his website at: James Preller. Jerry Spinelli (born Norristown, Pennsylvania, 1941) has written at least 28 books for children. His Maniac McGee received the 1991 Newbery Award. His Wringer was a 1998 Newbery Honor Book. Children could visit his website at: Jerry Spinelli.